Is it possible to build the perfect assessment design? Not likely, given the intricacies of the learning process! But a white paper available on the Questionmark Web site helps test authors respond effectively to the inevitable tradeoffs in order to create better assessments. Measuring Learning Results, by Dr. Will Thalheimer of Work-Learning Research, considers findings from fundamental learning research and how they relate to assessment. The paper explores how to create assessments that measure how well learning interventions are preparing learners to retrieve information in future situations—which as Will states it is the ultimate goal of training and education. The eight bits of wisdom that conclude the paper give plenty of food for thought for test designers. You can download the paper to find out how Will arrived at them. 1. Figure out what learning outcomes you really care about. Measure them. Prioritize the importance of the learning outcomes you are targeting. Use more of your assessment time on high-priority information. 2. Figure out what retrieval situations you are preparing your learners for. Create assessment items that mirror or simulate those retrieval situations. 3. Consider using delayed assessments a week or month (or more) after the original learning ends—in addition to end-of-learning assessments. 4. Consider using delayed assessments instead of end-of-learning assessments, but be aware that there are significant tradeoffs in using this approach. 5. Utilize authentic questions, decisions, or demonstrations of skill that require learners to retrieve information from memory in a way that is similar to how they’ll have to retrieve it in the retrieval situations for which you are preparing them. Simulation-like questions that provide realistic decisions set in real-world contexts are ideal. 6. Cover a significant portion of the most important learning points you want your learners to understand or be able to utilize. This will require you to create a list of the objectives that will be targeted by the instruction. 7. Avoid factors that will bias your assessments. Or, if you can’t avoid them, make sure you understand them, mitigate them as much as possible, and report their influence. Beware of the biasing effects of end-of-learning assessments, pretests, assessments given in the learning context, and assessment items that are focused on low-level information. 8. 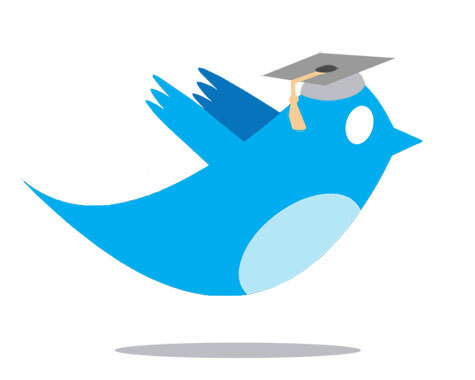 Follow all the general rules about how to create assessment items. For example, write clearly, use only plausible alternatives (for multiple-choice questions), pilot-test your assessment items to improve them, and utilize psychometric techniques where applicable. Retrieval is more important than feedback. The role that feedback plays is to support retrieval. This statement by Will seems simple, but it helps to understand how to write good feedback. There are so many things to think about when creating feedback in a question. When is the retrieval opportunity presented? What is the feedback for a correct answer? What is the feedback for an incorrect answer? How does Questionmark Live fit into this? Well, it is pretty easy to write feedback for late-in-learning retrieval since you are only trying to get the learner back on track. It is the early-in-learning feedback that needs to be more extensive so it can help the learner develop pathways to information to support later retrieval. 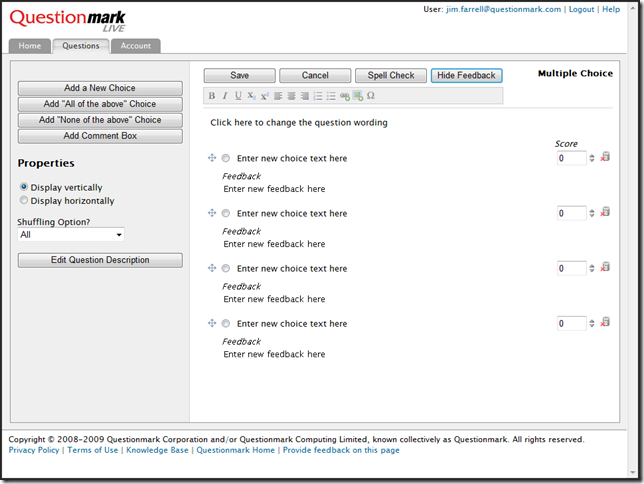 Allowing a subject matter expert (SME) to create extensive feedback in Questionmark Live will ensure that your feedback is detailed and accurate. No one is expecting the SME to be an expert in question writing. You may need to tweak the question once you bring it into Perception, but your feedback will be far more powerful if you glean it from someone who knows about a subject in depth. I really encourage you to read Dr. Thalheimer’s white paper to help you use feedback to improve the learning process. Dr. Will Thalheimer of Work-Learning Research spoke with me recently about the role feedback plays in assessments and how it can be used to help learners. Our conversation touches on the basics of using feedback effectively; if you want to learn more about this subject I recommend you check out Will’s research-to-practice paper: Providing Learners with Feedback. The paper examines the latest research on this complex topic and provides practical recommendations. You can find it in the Work-Learning Research Catalog or Questionmark’s white paper list. So here’s Will! I hope you enjoy our conversation.